Australian singer/songwriter Kylie Minogue has delivered her new single online. “Raining Glitter” – which was written by Minogue alongside Alex Smith, Mark Taylor, and Francis “Eg” White – is now available via iTunes, Apple Music, Amazon, Google Play, Tidal and all other digital streaming platforms. As mentioned in earlier posts, Minogue’s fourteenth album “Golden” – featuring previous singles “Dancing” and “Stop Me from Falling” – is scheduled to arrive via April 6 via Darenote / BMG Rights Management. The highly-anticipated project boasts further songwriting contributions from Sky Adams, Danny Shah, Amy Wadge, Cutfather, Autumn Rowe, Richard “Biff” Stannard, Ash Howes, Jesse Frasure, Liz Rose, Sam Dixon, Wayne Hector, Nathan Chapman, Jon Green, Lindsay Rimes, and Steve McEwan. Stream the audio clip for “Raining Glitter” below. Kylie Minogue has confirmed the details for her new single. 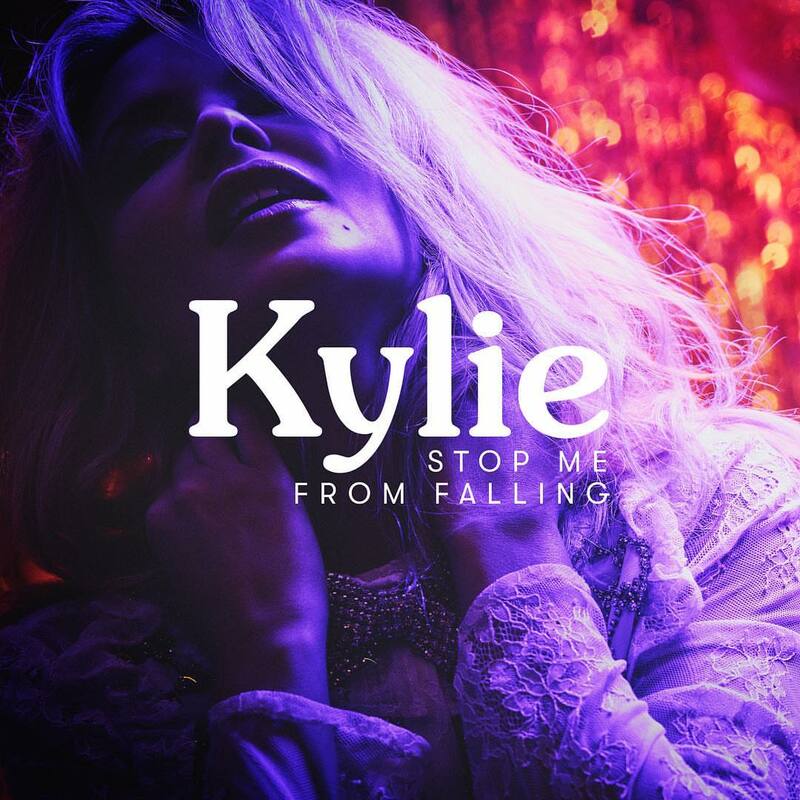 The Australian singer/songwriter dubbed “Stop Me from Falling” as the second promotional cut from her upcoming fourteenth album “Golden,” which is scheduled to arrive on April 6th via Darenote / BMG Rights Management. Co-written by Steve McEwan alongside Danny Shah and Sky Adams; “Stop Me from Falling” will be available from March 9th via iTunes, Apple Music, Amazon, Google Play, Tidal and all other digital streaming platforms. Featuring previous promotional single “Dancing,” the follow-up to 2016’s “Kylie Christmas” boasts additional songwriting contributions from Richard “Biff” Stannard, Amy Wadge, Samuel Dixon, Mark Taylor, Liz Rose, Francis “Eg” White, Jon Green, Autumn Rowe, Cutfather, Daniel Daviden, Peter Wallevik, Wayne Hector, Jesse Frasure, Lindsay Rimes, and Ash Howes. Watch the music video for “Dancing” below. 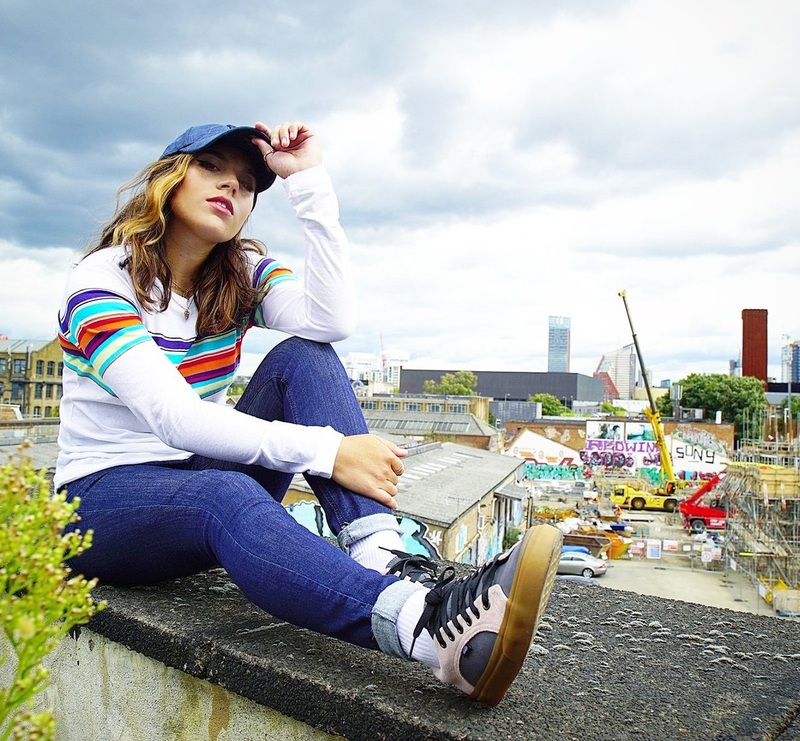 British singer/songwriter Chelcee Grimes has teamed up with Lindy Robbins and Future Cut for a new collaboration. Composed of Darren Lewis and Tunde Babalola, Future Cut’s production resume boasts works with Maxine Ashley (“Happy”), Lilly Ahlberg (“Bad Boys”), Whinnie Williams (“What About Me”), Matt Terry (“Heartless”), Bakar (“Small Town Girl”), Alex Adair (“Casual”) and Matt Wills (“Marry You”). Grimes, on the other hand, is scheduled to release her upcoming debut project later this year via Sony Music Entertainment / RCA Label Group UK. The still-untitled collection reportedly delivers further contributions from RedOne, Negin Djafari, Knightstarr, Phil Cook, Jonas Blue, Sam Romans, Fiona Bevan, Wayne Wilkins, Shelly Peiken, Ed Drewett, Richard “Biff” Stannard, Ash Howes, Kara DioGuardi, Jamie Hartman, Stuart Crichton, and Cutfather. Having previously co-writtten Dua Lipa’s “Bad Together” and Louisa Johnson’s “So Good,” fans of Grimes’ songwriting works should also keep an eye on the next projects by Olly Murs, Jojo, Rita Ora, Era Istrefi, Imani Williams, Anne-Marie, Little Mix, Melissa Steel, Dakota, Antigoni Buxton, and Tamera Foster. 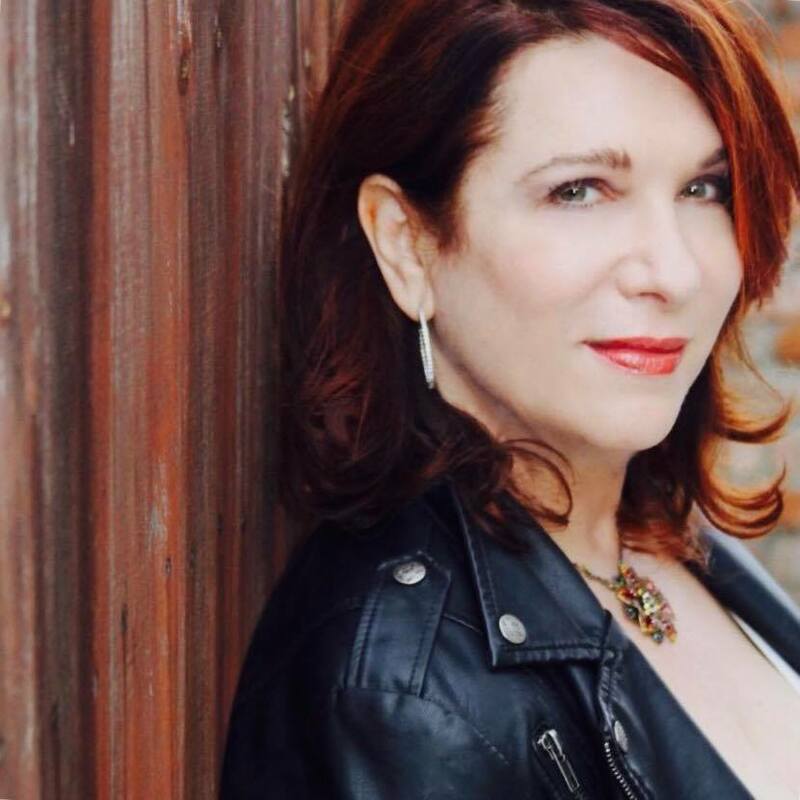 Stream the following playlist dedicated to Chelcee Grimes’ works! Kylie Minogue has unveiled the music video for her new single online. The Sophie Muller-directed clip for “Dancing” was posted to the Australian singer/songwriter’s Vevo channel on Thursday (February 01, 2018). Written by Minogue alongside Nathan Chapman and Steve McEwan, the Sky Adams-produced “Dancing” is now available via iTunes, Apple Music, Amazon, Google Play, Tidal and all other digital streaming platforms. As mentioned in earlier posts, Minogue’s upcoming fourteenth studio collection “Golden” is scheduled to arrive on April 6th via BMG Rights Management. The highly-anticipated project boasts further contributions from Richard “Biff” Stannard, Amy Wadge, Samuel Dixon, Mark Taylor, Liz Rose, Francis “Eg” White, Jon Green, Autumn Rowe, Cutfather, Daniel Daviden, Peter Wallevik, Wayne Hector, Danny Shah, Jesse Frasure, Lindsay Rimes, and Ash Howes. Australian singer/songwriter Kylie Minogue has released her new single online. “Dancing” is now available via iTunes, Apple Music, Amazon, Google Play, Tidal and all other digital streaming platforms. As mentioned in earlier posts, Mingoue’s upcoming fourteenth album “Golden” is scheduled to arrive on April 6th via BMG Rights Management. The highly-anticipated project boasts further contributions from Richard “Biff” Stannard, Ash Howes, Samuel Dixon, Jesse Frasure, Alex Smith, Mark Taylor, Francis “Eg” White, Danny Shah, Jon Green, and Steve McEwen. Stream the audio clip for “Dancing” below. Australian singer/songwriter Kylie Minogue has unwrapped the tracklisting for her upcoming fourteenth album “Golden,” which will arrive later this year via BMG Rights Management. Lead promotional single “Dancing” – which was produced by Sky Adams -will be available from January 19 via iTunes, Apple Music, Amazon, Google Play, Tidal and all other digital streaming platforms. The follow-up to 2015’s “Kylie Christmas” reportedly boasts further productions from Richard “Biff” Stannard, Ash Howes, Sam Dixon, Mark Taylor, Francis “Eg” White, Nathan Chapman, Luke Fitton, Chris DeStefano, Jesse Frasure, and Invisible Men. On the songwriting front, Minogue has worked with Karen Poole, Amy Wadge, Eyelar Mirzazadeh, Lauren Aquilina, Grace Barker, Twinnie, Gina Kushka, Danny Shah, Seton Daunt, Alex Smith, and Steve McEwan. See the tracklisting for “Golden” below. Stream the audio clip for “Too Much” below.